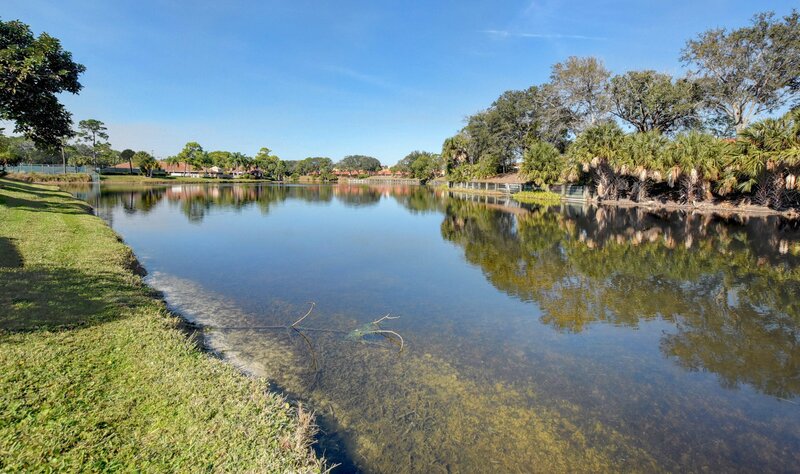 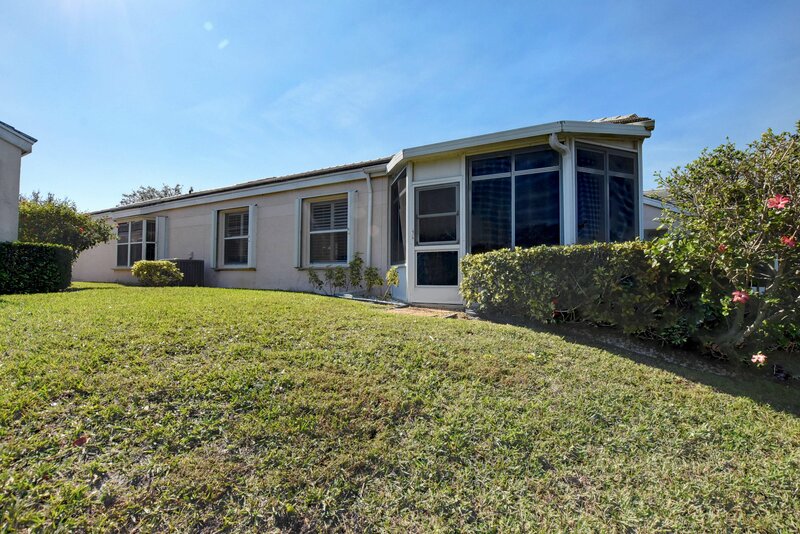 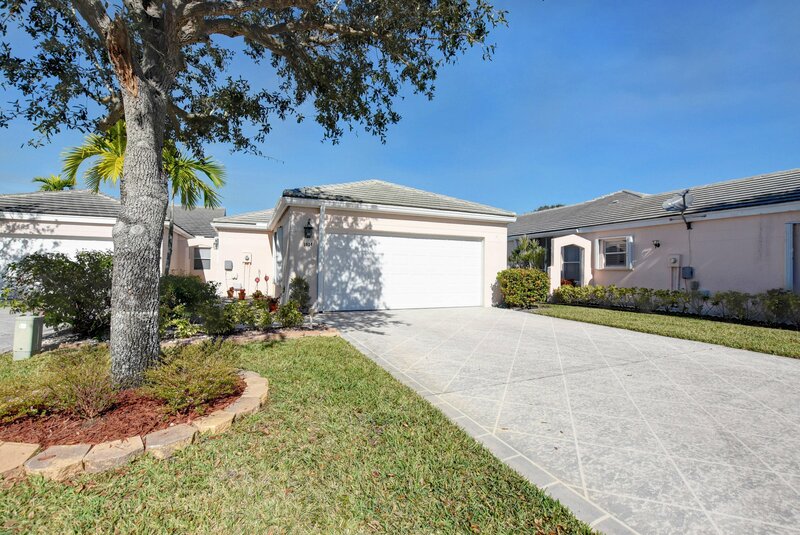 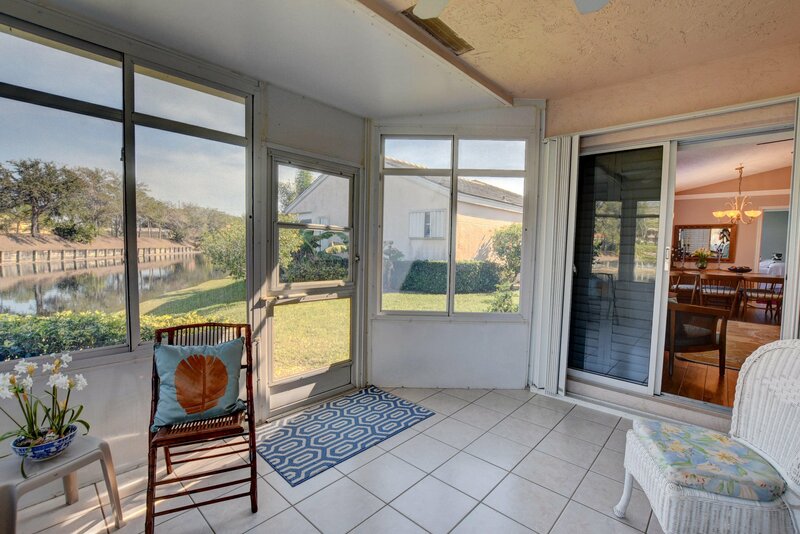 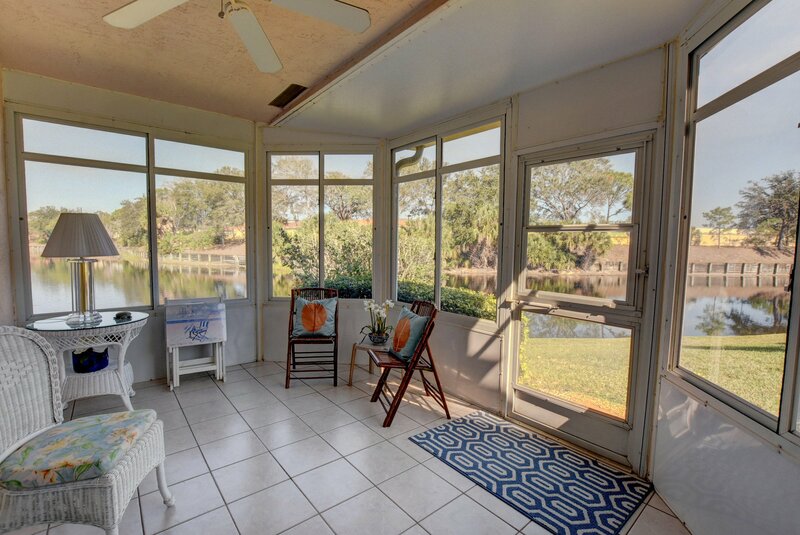 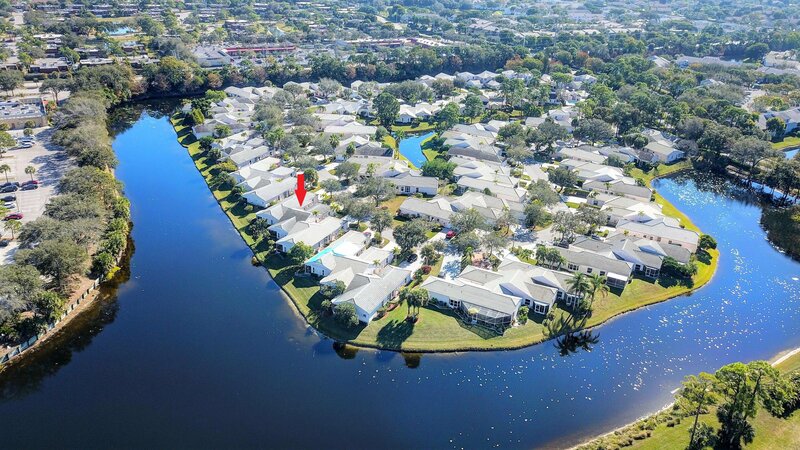 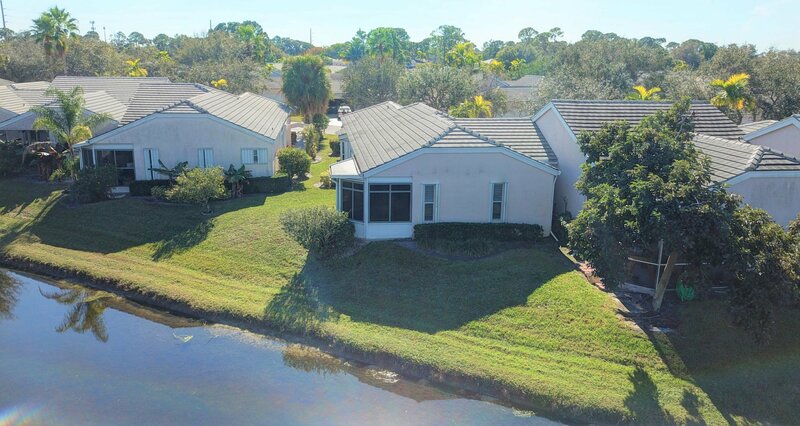 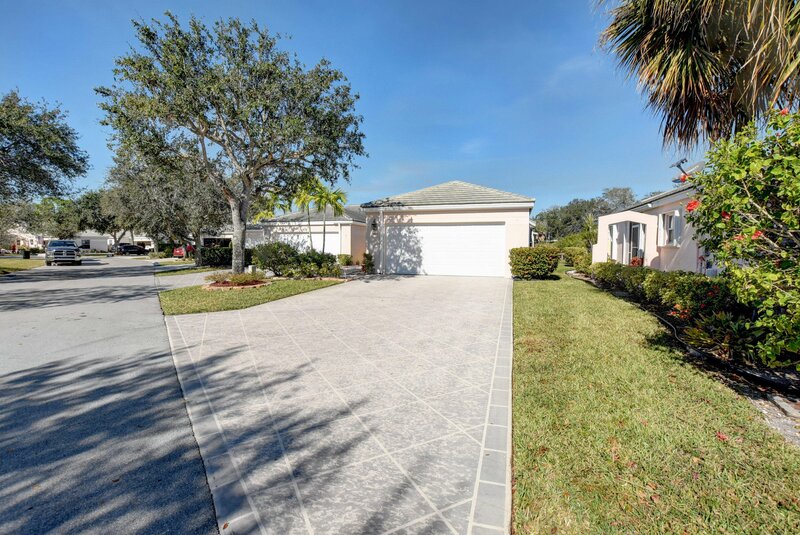 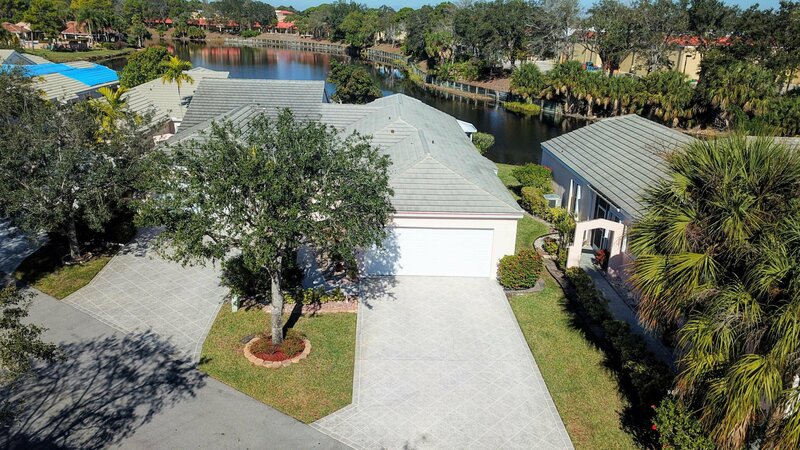 This is 3 bedrooms villa located in River Bridge community, next to Okeeheelee park, great schools, close to Wellington Green Mall and restaurants, close to Turnpike and 15 min to PBI Airport. 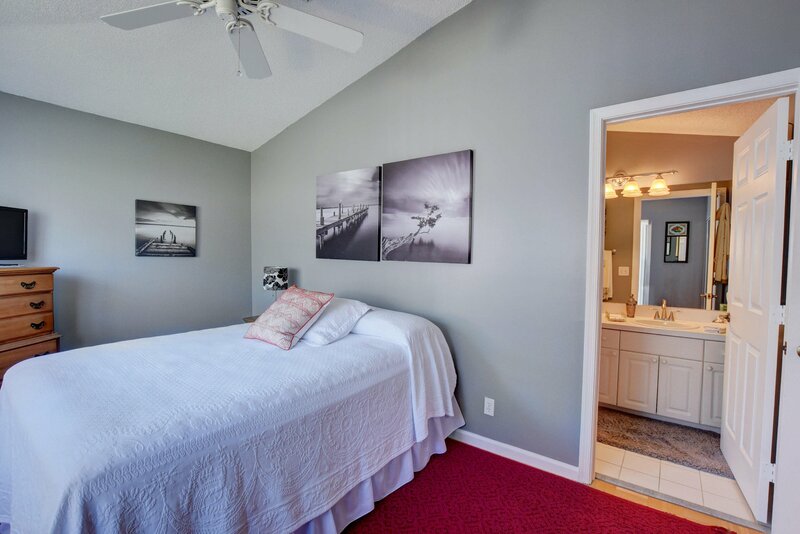 Home was built in 1996 and original owner did many updates and kept the place in mint conditions. 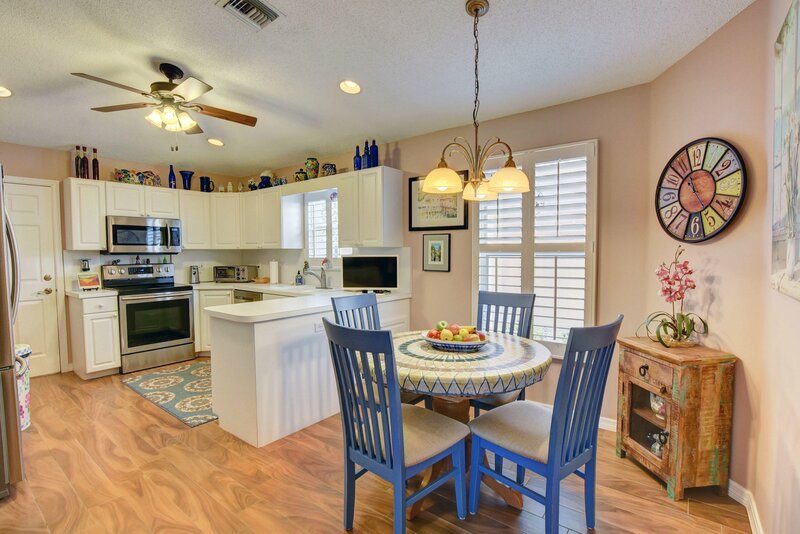 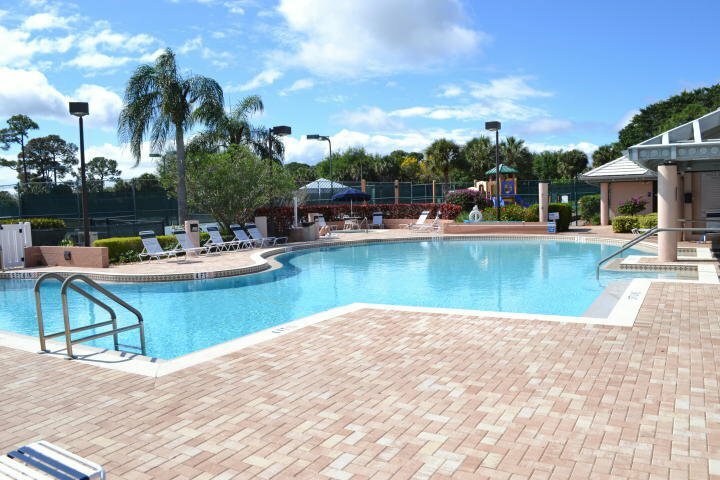 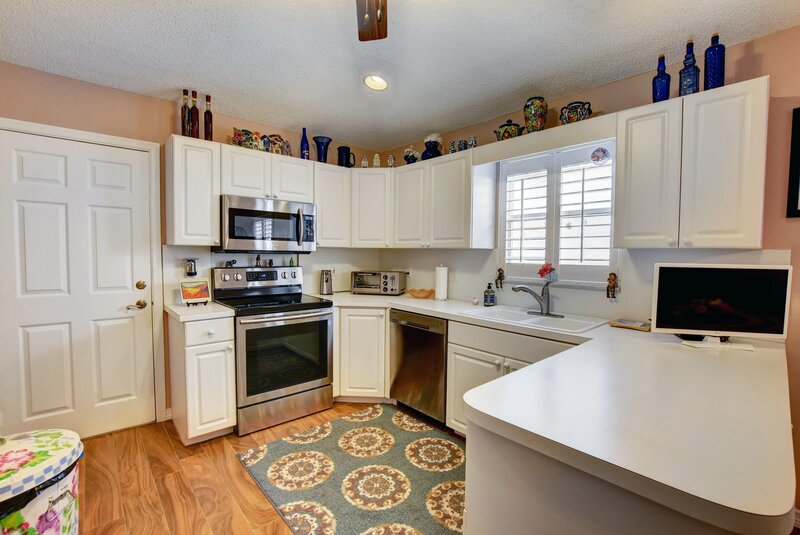 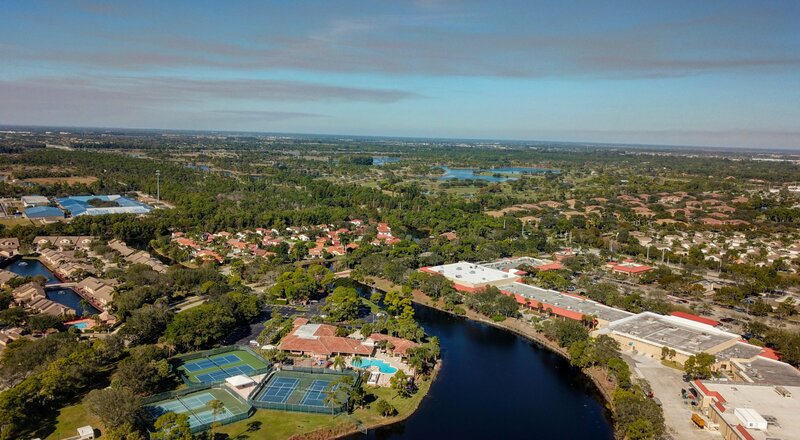 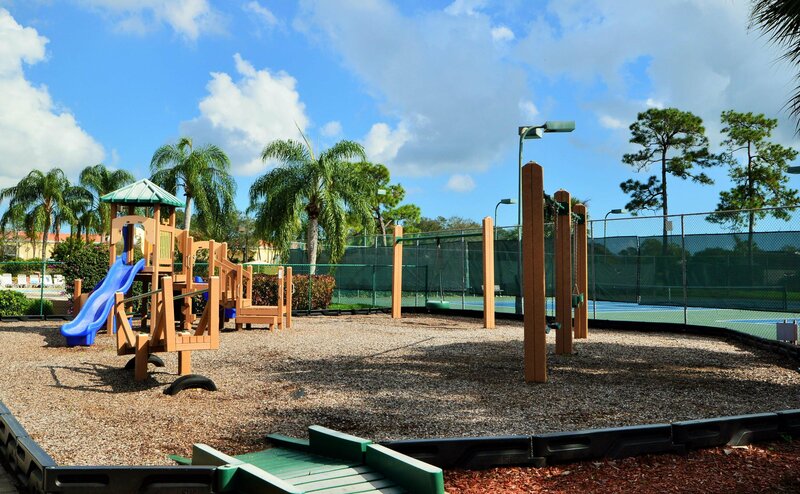 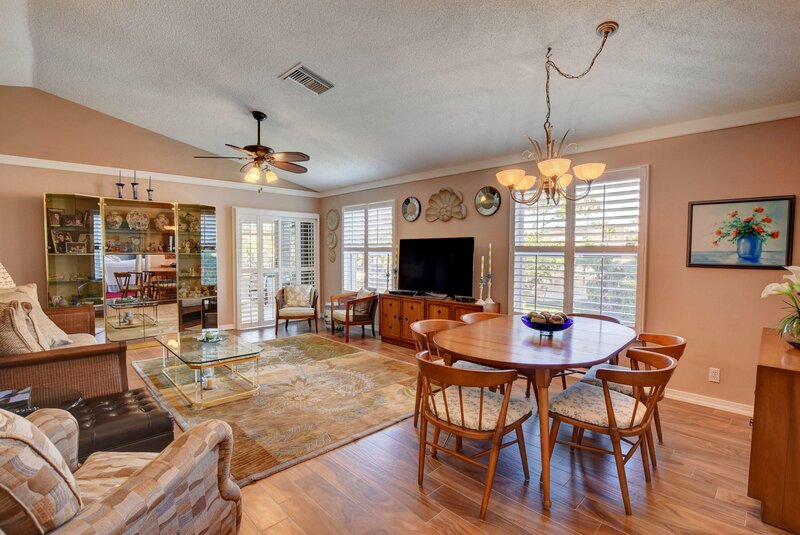 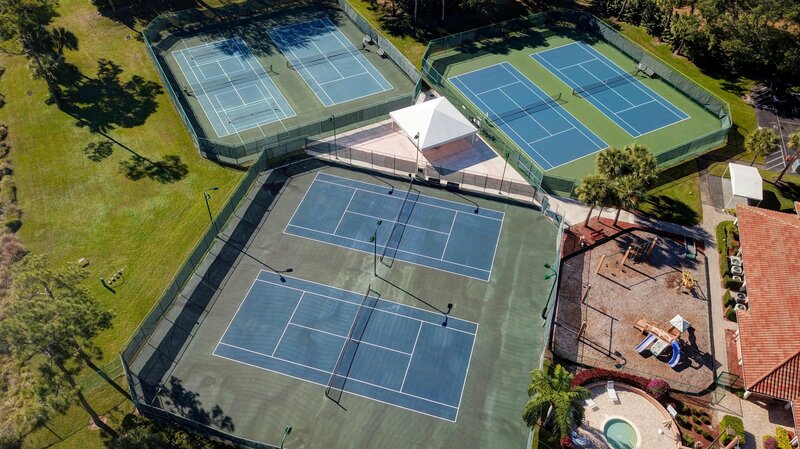 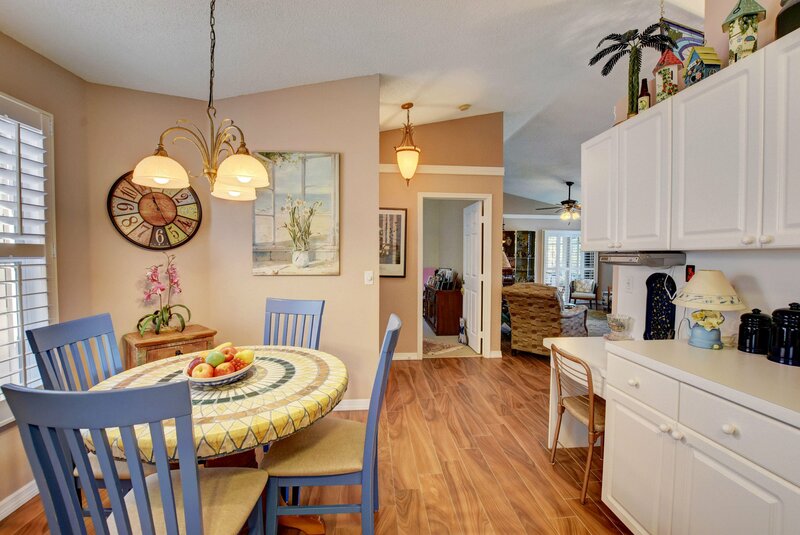 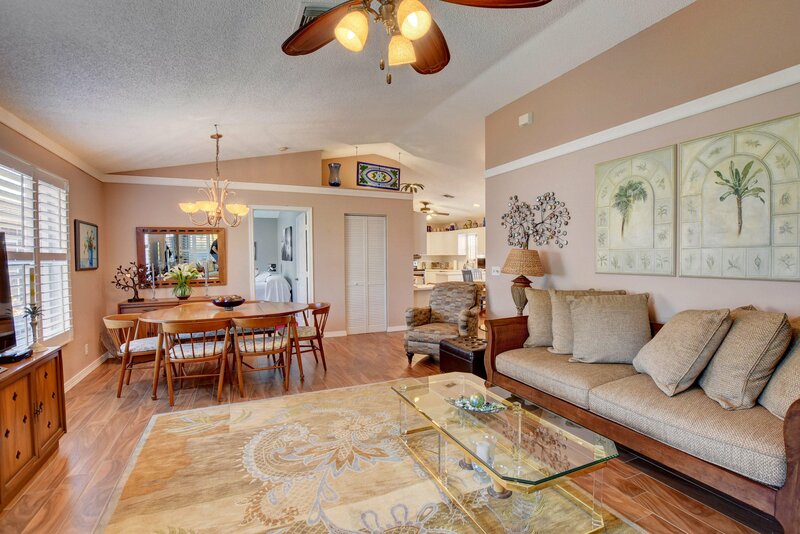 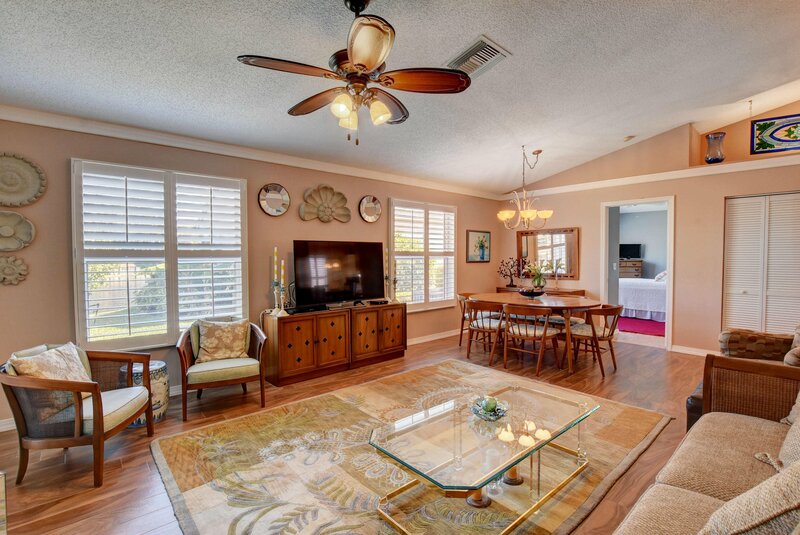 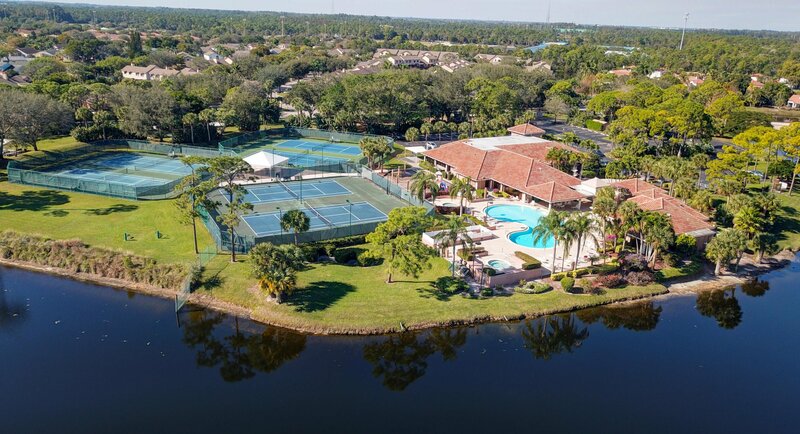 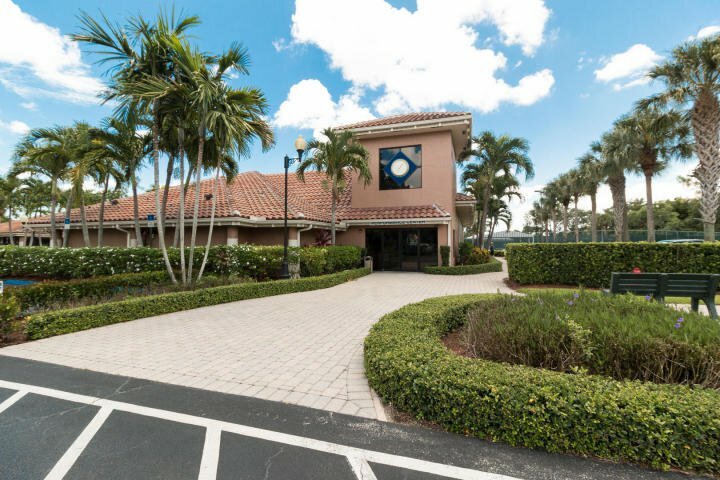 There is screened and tiled patio with 180 lake view, 11'' ceiling, Plantation shutters on every window, accordion hurricane shutters, tiled wooden floors in the living area, crown molding in livingroom, kitchen with white cabinets and stainless steel appliances. 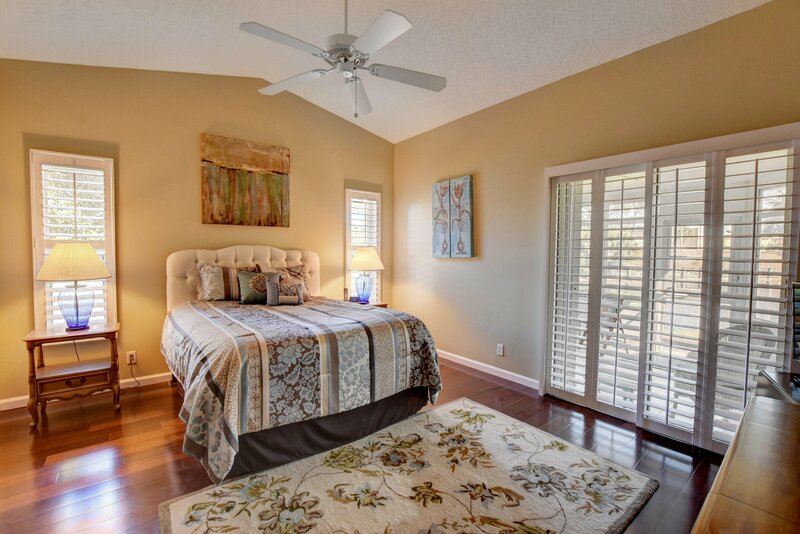 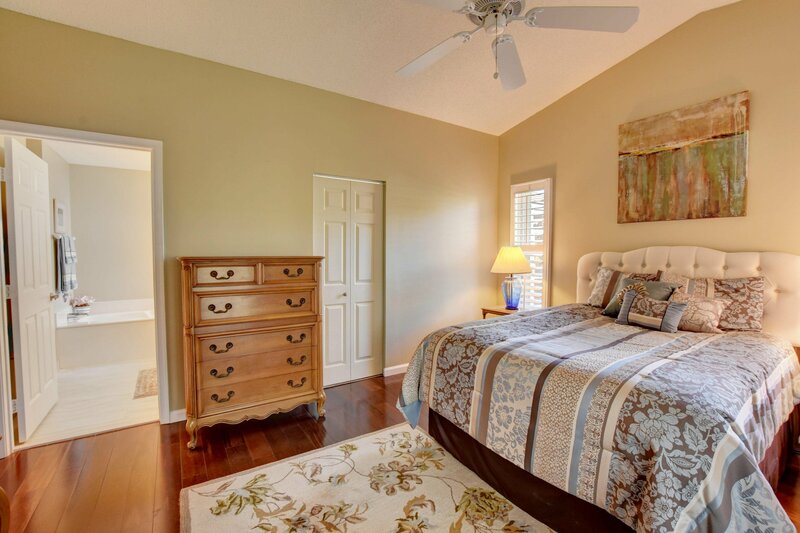 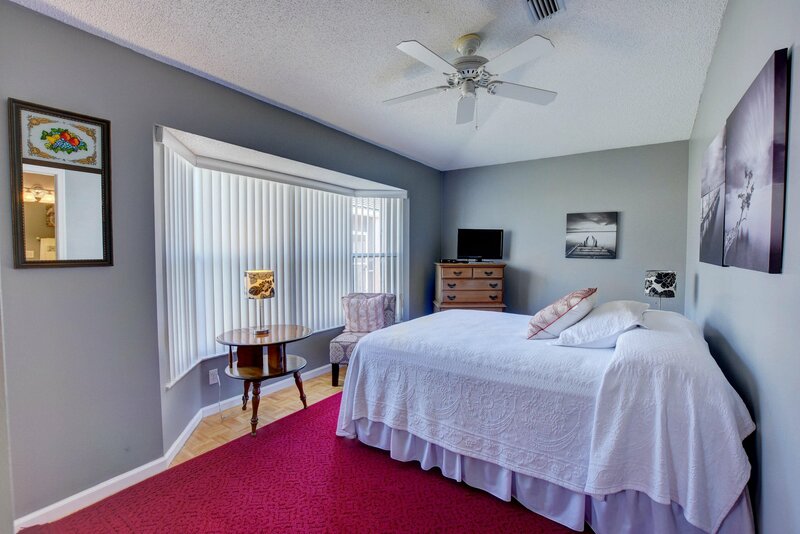 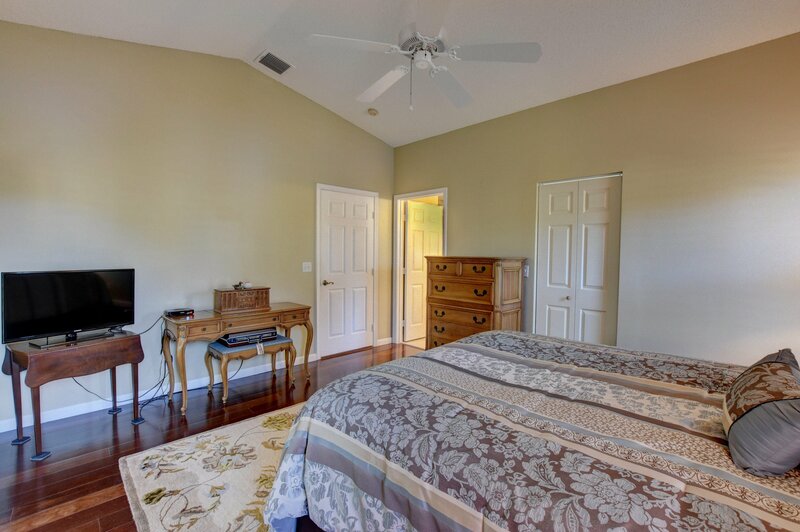 Master bedroom features wood floors and sliders to the patio and view of lake. 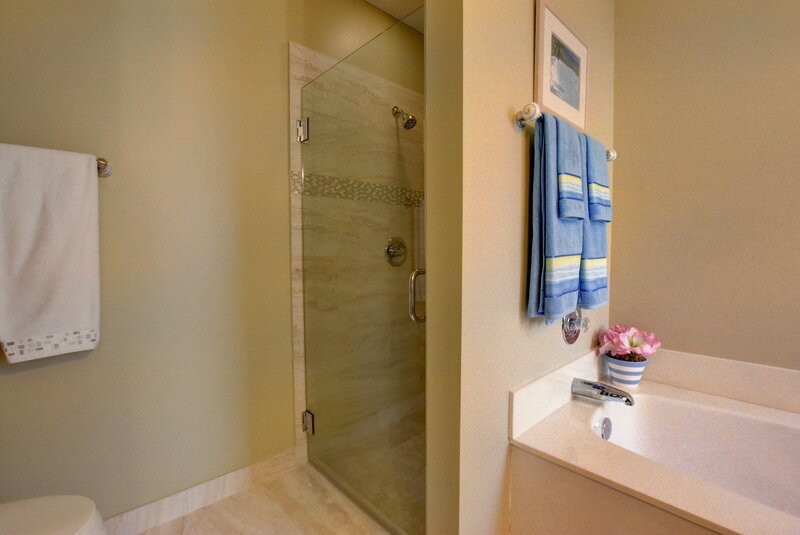 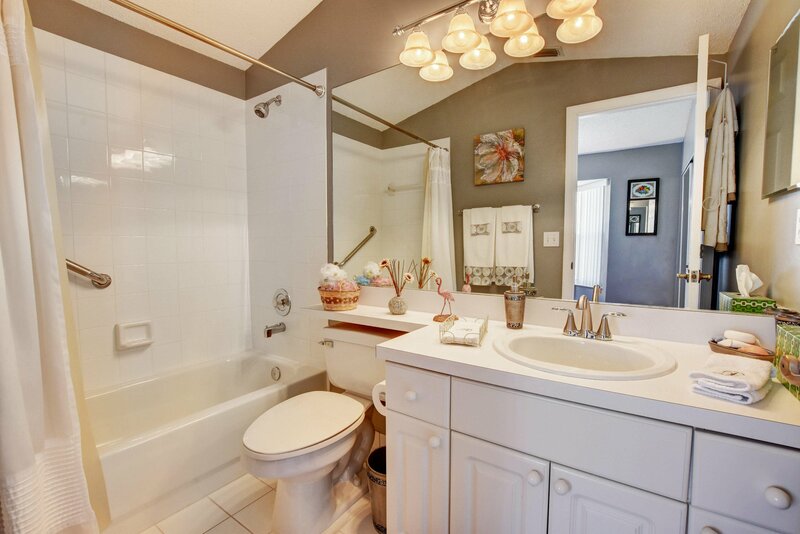 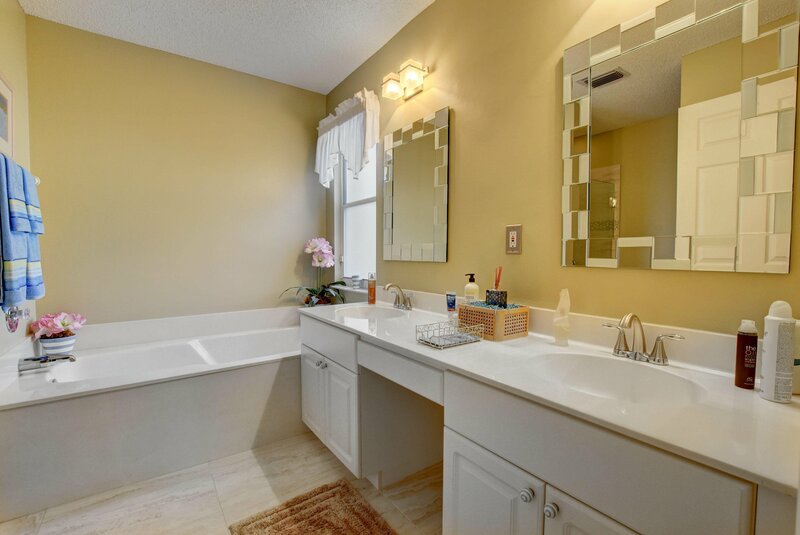 Master bath has double sink, bathtub and recently updated floors and shower. 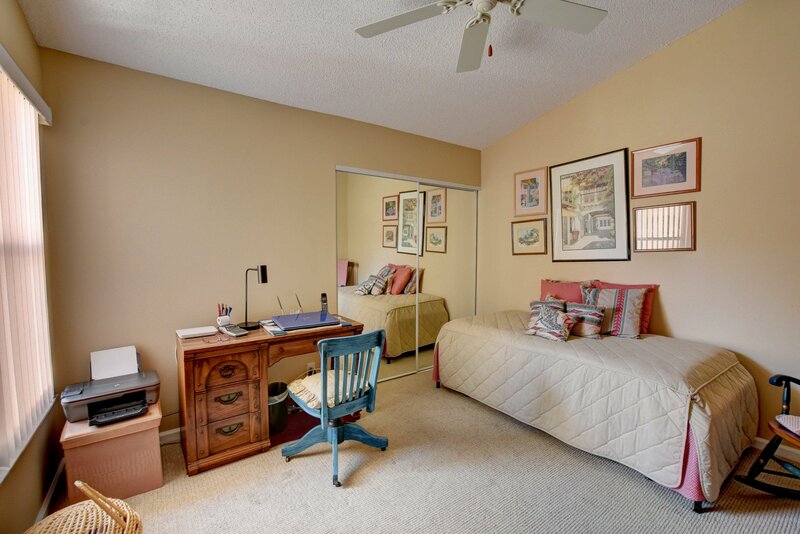 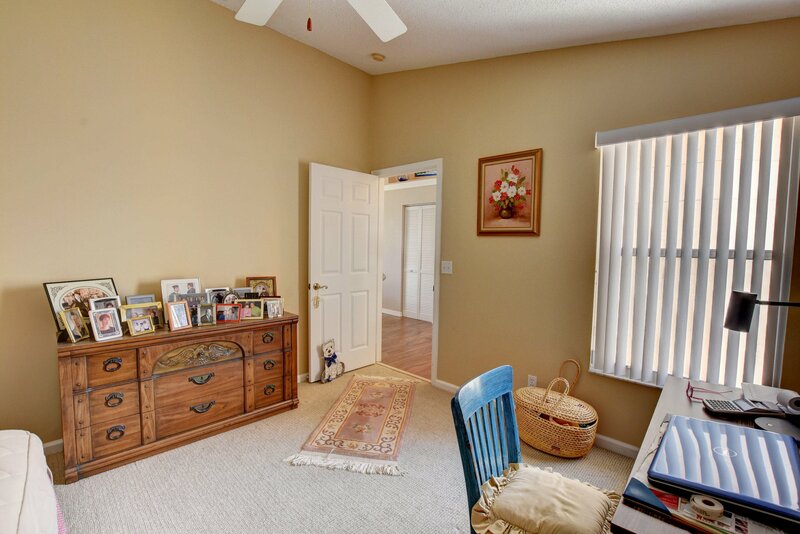 2nd bedroom has partly parquet floors and 3rd bedroom has new carpet. 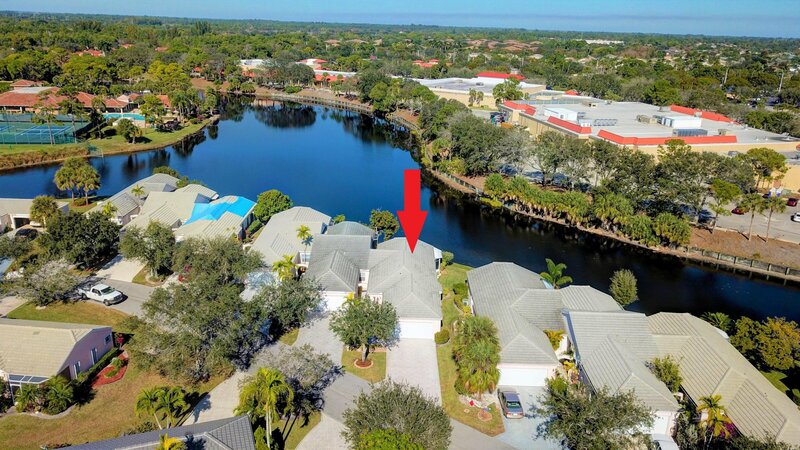 Listing courtesy of Homesellers Realty Inc.